Extending two centuries and to all corners of the globe, the scope and influence of our research is far-reaching and life-changing. Today our faculty and postdoctoral researchers make novel and meaningful connections that reach across disciplines—bringing together ideas from the full spectrum of science, technology, and creativity activity. The Vice President for Research Office oversees research administration, development, and compliance at IU, working with faculty and postdoctoral researchers to increase and diversify our scientific and creative scholarship. IU research and creative scholars are solving problems and improving lives—building public health infrastructures overseas, creating art that inspires and connects us, and making discoveries that improve the quality of our environment. Our global contributions reflect unique collaborations and strengths in areas like informatics, environmental science, art, chemistry, ethnomusiclogy, geology, economics, psychology, public health, media, genetics, entrepreneurship, and philanthropy. Global water supplies. Infectious diseases. Addiction. Climate change. 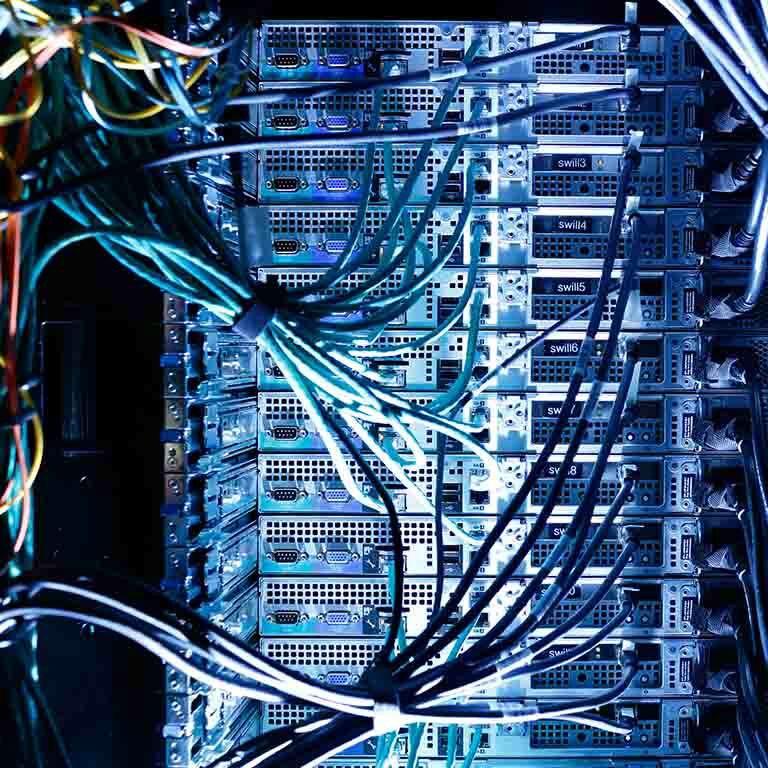 Protection of big data. The most urgent problems facing the world will be addressed through Grand Challenges— a $300 million IU research program that funds faculty and student researchers who are tackling these concerns. IU creative activity is bolstered by breathtaking arts facilities and venues, which attract artists, scholars, and amazing performances to our campus. 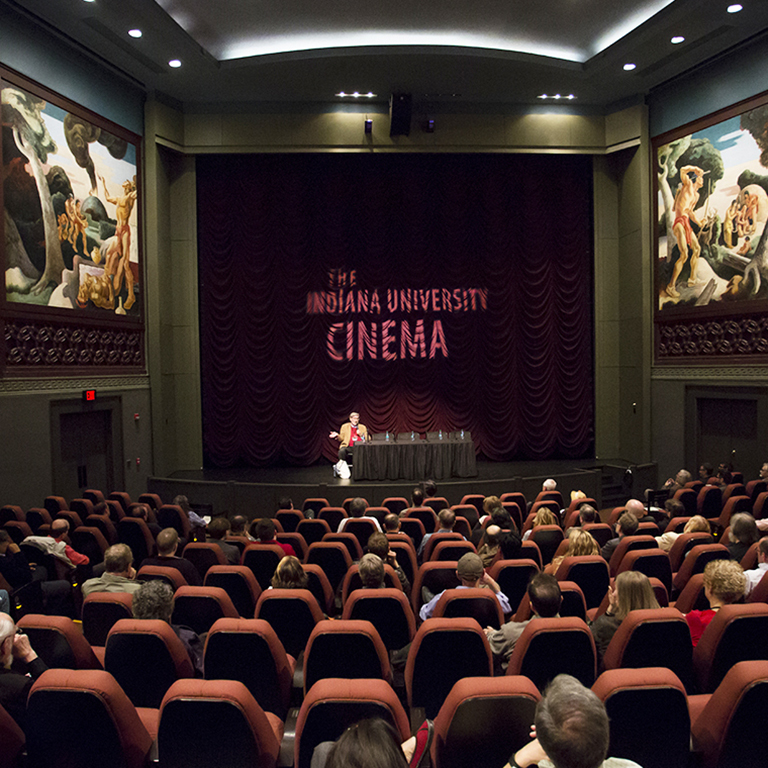 The IU Cinema regularly presents symposia, festivals, and film series—covering a wide breadth of academic exploration and hosting visits from actors and filmmakers like Meryl Streep, Peter Weir, Glenn Close, and Werner Herzog. Since 1997, the Advanced Visualization Lab (AVL) has been helping IU researchers and students on all campuses work with virtual and augmented reality. From a 3D-printed, perfect scale model of the statue of Venus in IU Bloomington’s Showalter Fountain to a prosthetic nose for a cancer patient, the AVL continues to make its mark on research and creative activity at IU. 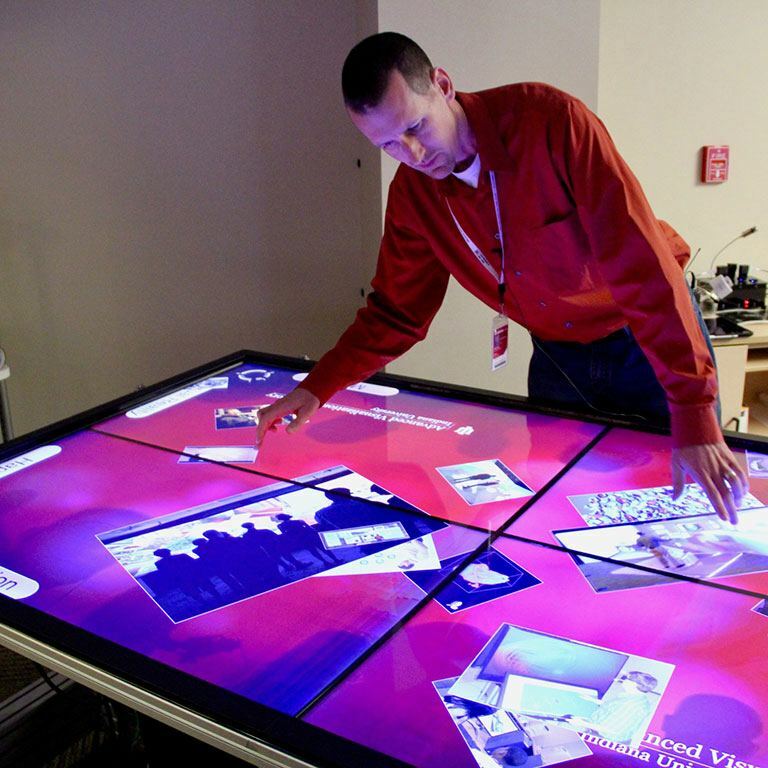 We innovate to bring jobs, health, and creativity to Indiana and the world. Innovation and commercialization initiatives take IU discoveries to the economic markets, hospitals, schools, communities, and environmental landscapes where they’re critically needed. We provide resources and expert council to help researchers transform promising ideas into new companies, technologies, and cures. Launching start-ups and securing patents: We help launch promising start-ups by securing funding and patents, by helping IU faculty see the commercial potential in their research, and by bringing laboratory discoveries and new technologies to the marketplace. Sandi speaks: Our work with the commons and the Indiana Statistical Consulting Center has truly benefited our research project. The members of their team came together with the members of our research team. They were truly embedded in that team. They helped us make decisions about the implications of our research, and as a result I think our research and the outcomes of that research are much stronger. Emily speaks: For faculty and graduate student researchers in the social sciences, the Social Science Research Commons offers a one-stop shop with everything from personal consulting and group workshops to sensitive data management and data analysis tools. Emily speaks: The commons is a state-of-the-art facility located in Woodburn Hall, in the heart of the Bloomington campus and is designed to serve as a central hub to support, coordinate, and stimulate collaborative social science research at IU Bloomington. Our space is equipped with smartboards, a video wall, videoconferencing equipment, and over 30 computer workstations, all designed to help collaborate and share best practices. And that’s where the true value of the SSRC comes in—with our people. Experts in statistics, analytics, epidemiology, survey methods, data science, and more are here to provide you with professional, experienced guidance for every part of the research process. Scott speaks: Our team has helped researchers take a variety of different workflows and move them from small scale at their workstation to the supercomputing facilities that we have here at Indiana University, helping researchers develop the tools that they need to do their analysis. From the concept to the results, the SSRC is here to help. Looking for help with IU policies, mail services, child care, or other resources for faculty and staff?